IRISA and M2S laboratories share their experimental facilities. 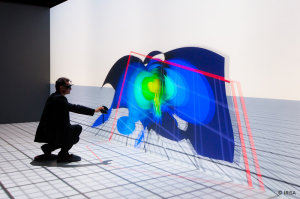 MimeTIC benefits from priviledge access to two virtual reality plaforms Immersia (Irisa) and Immermove (M2S), grouped in a unique collaborative immersive platform named “ImmerSTAR” leaded by Georges Dumont. The Immersia VR platform is owned by IRISA and Inria. This platform is organised around a large immersive infrastructure and dedicated softwares. Immersia is in fact the third version of this VR platform. 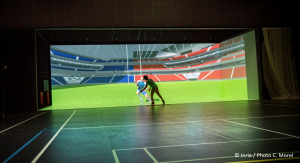 The gymnasium is located in M2S platform (in ENS Rennes, KerLann campus) . 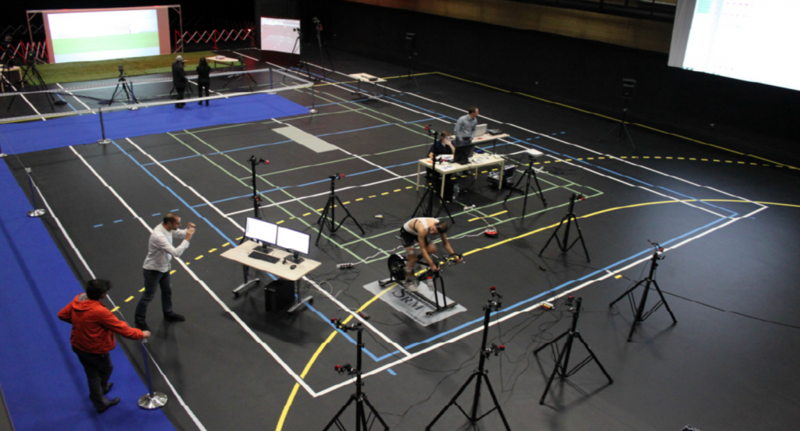 It is 30mx20m and fully dedicated to analyzing human motion.